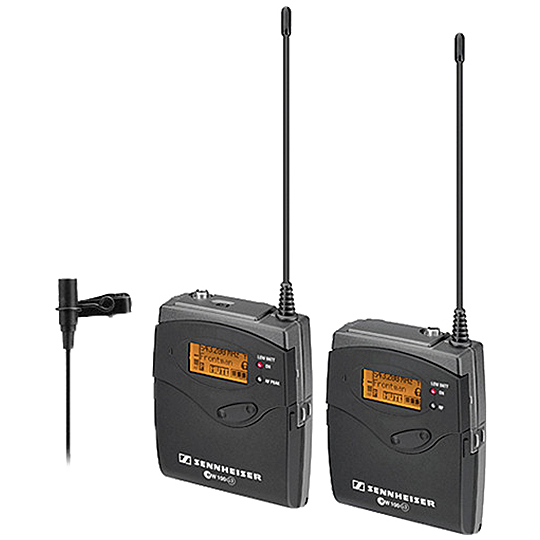 The Sennheiser G3 Wireless Portable Microphone System is intended for portable wireless operation, such as video and field recording applications. This system includes a camera-mountable receiver, bodypack transmitter, and ME 2 lavalier microphone. The SK 100 G3 bodypack transmitter and EK 100 G3 receiver synchronize channel and frequency at the touch of a button. The receiver includes the CA 2 shoe-mount adapter, for easy installation onto a camera shoe. A backlit display allows for easy operation under dimly lit conditions and its user-friendly menu makes operation quick and easy.